News - Barry's Pizza Has Been Serving Awesome Pizza For Over 30 Years! Each year, we mail out surveys to independent pizzerias across the nation. 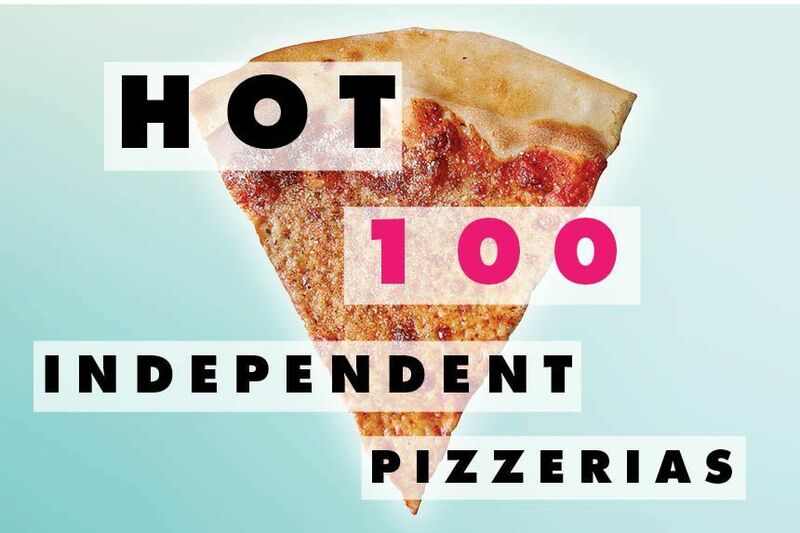 Using their responses, we compile our Hot 100 list — a ranking of America’s 100 largest independent pizza operations (based on sales). This issue is eagerly devoured by Pizza Today’s readers and the list you’ll see on below is a testament to the ingenuity, diligence and skill of the pizzeria owners who make the grade. All the pizza wonks out there get into these arguments about Pizza over everything from Artisan to Chain, NY Style vs. Chicago, the lack of good/authentic ______ style pizza in the Houston area, how current trends are raising the bar/ruining pizza as we know it, etc. And let's see what kind of a throwdown will occur when three people can't agree on what toppings to put on a pizza. Makes my shake my head and roll my eyes. Many folks are still looking for genuine Chicago Deep Dish style pizzas in Houston. On the other hand the other styles--New York, Neapolitan, and of course Sicilian are available all over, with many good local representations of them. While I love newer places like Pi Pizza Truck, Pink's, Pizzeria Solario and Pizaro's who do great Artisan, New York and Neapolitan style pizzas, classic places in Houston also have great pies as well. For me, the two definitive Houston classic pizzas are Star Pizza and of course Barry's Pizza and Italian Diner. These places have history and longevity because they have created great memories for many native and long-term Houstonians, and they have put out a consistently great product that has hit the proverbial spot, especially when it comes to their Sicilian Pizza. One thing I always make sure when I'm covering Houston Restaurants is to not just showcase the great new places, but also to remind y'all of the great places that are pillars of the community and let new Houstonian's know about these places as well. Barry’s Pizza and Italian Diner is a 125 seat Texas log cabin located at 6003 Richmond Avenue, five minutes from the famous Galleria. We are serving our third generation of customers! People who first came in as children with their parents are now bringing in their own children. Our wine list and draft beer selection offer our guests both a quality and price not found in other pizzerias. We offer our customers the opportunity to dine in our rustic Texas dining rooms, or sit out on our patio for an “al fresco” meal. Meals can also be picked up or delivered to our guests, either at home or at work. Barry’s Pizza has been family owned & operated since 1983. We pride ourselves on consistently welcoming our guests with genuine old fashioned hospitality. Our loyal guests are the true secret to our success & we are honored to be serving our third generation of families! We’re serious about our pizza! We hand-make each pie from the finest & freshest ingredients for truly outstanding quality & taste. ‘It’s in the cheese!’ Our cheese is our own exclusive recipe, aged to perfection. Our dough is made daily, both for hand-tossed & deep dish Sicilian. We take time to prepare a twice-risen deep dish, providing a lighter, more tender crust than our competitors. Our sauces are made daily with beautiful ripe tomatoes fresh-packed within hours of picking, providing that ‘truly fresh’ flavor. 31 years and counting is outstanding in a place as dynamic and changeable as Houston has been. I was craving a Sicilian pie and on top of that, they had Saint Arnold's Bishop's Barrel 7 on this particular day too! So I hightailed it over to Richmond Avenue to revisit this Houston Classic! Thursday 28 May 2015 | Barry's Pizza You Tube Food Video! Thursday 02 April 2015 | Summer Hours Are Here! Some locals base restaurant popularity on menu options and freshness, but the ultimate indicator of success comes down to the numbers. Pie-centric site Pizza Today released its list of 2014's most profitable independent pizzerias in the country. 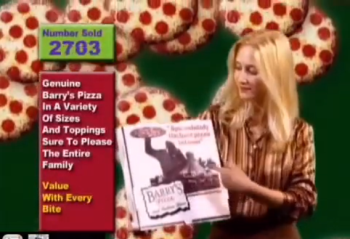 On the list is Houston's own Barry's Pizza, which came in at No. 93 with gross sales hitting $2,350,172. Owner Barry N. Childers opened the eatery at a cabin on the corner of Richmond and Fountain View in 1983. 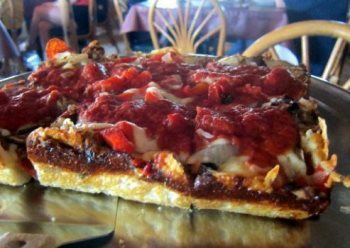 The place, which is still family owned, has become a restaurant staple in the local scene for its deep-dish options, which feature a thick, chewy crust. The Sicilian-style pizzas might not be the most authentic in the city, but judging by its sales the restaurant is clearly doing something right. Click through the slides for more popular pizza in Houston. Monday 24 November 2014 | Barry...King Of Pizza! Barry Childers has been serving up hot pies to locals for over 31 years, and his pizza place has finally gotten the recognition he has worked so hard to attain. 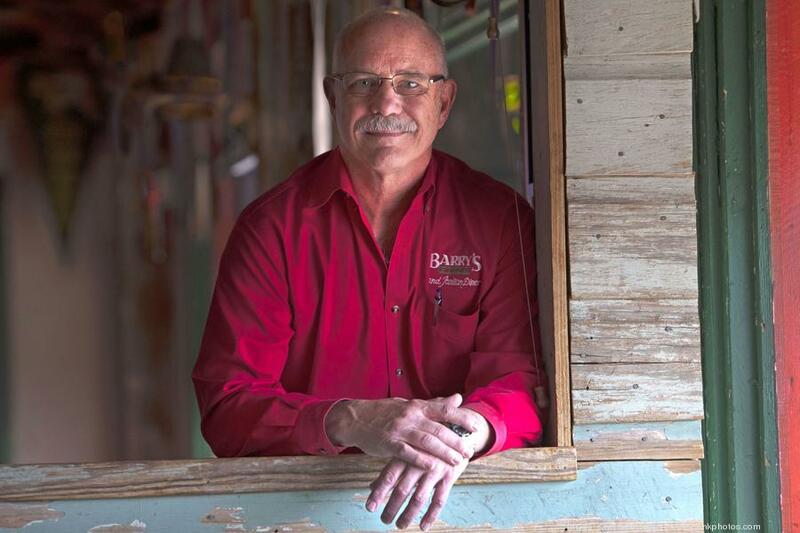 Barry's Pizza was the only Houston-based business ranked on Pizza Today's 2014 list of the 100 highest-grossing independent pizzerias in the U.S. and was one of only seven Texas-based restaurants to land on the list.